Welcome to the Mediterranean Chateau, the newest culinary offering from the Barreiro family. Owner Jose Barreiro’s past successes include Caravella in Elizabeth and Ria Mar in South River. Now he and his children, Jorge, Danny and Fatima bring their combined eighty years of fine dining experience to a newly renovated building featuring ample on site parking, a full service bar with televisions and wifi, a cozy fireplace and outdoor patio seating. 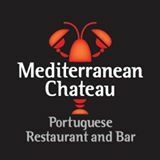 An outstanding menu of traditional Portuguese, Spanish and American cuisine features only the freshest seafood, homemade desserts, warm bread and numerous offerings from our 100% wood lump charcoal pit and rotisserie grill. Head Chef Robertini Martinez, formerly of Don Pepe in Newark and Ria Mar, ensures that every dish is exquisitely prepared. Whether you’re seeking a romantic evening out or an enjoyable meal with friends and family, our warm, relaxed atmosphere and attentive staff are sure to exceed all your expectations. We look forward to seeing you again and again.